“Stahl had a style of impressive gravity that could make a melodrama serious even for those disinclined to the genre (this shows especially in the great first version of Back Street, 1932), but the full effect of melodrama as Sirk conceives it derives from a constant contrast of tones: strong effects, vivid and sometimes audacious, alternating with subtler passages that do as much to carry the flow of movie. 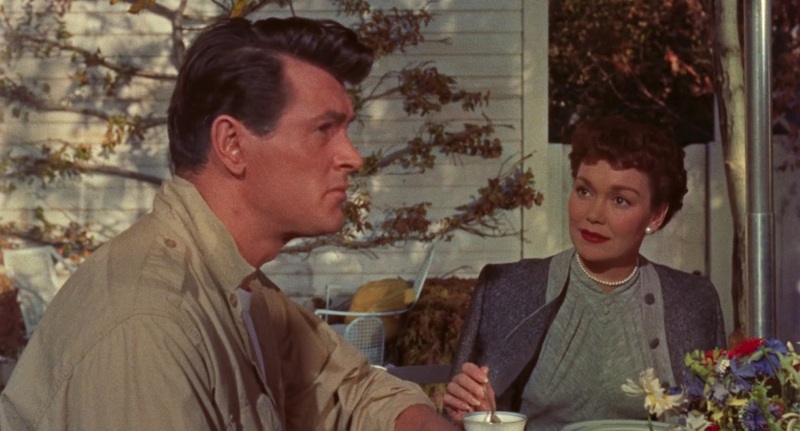 Though much critical writing on Sirk concentrates on what might be called signature moments, where visual strategies for heightening are most evident and it is easy to readily identify his hand, what really elevates the director is the sophistication with which he conceives of the organic whole.” Concluding his two-part essay on Sirk at Universal-International, Blake Lucas highlights the many collaborators whose other work for the studio clearly showed the same talents they’d bring to Sirk’s films, and the masterly way the director orchestrated their contributions to his vision. “Landing somewhere near the intersection of Spielberg and National Geographic, Terrence Malick and Sesame Street, Ballard’s work is hugely entertaining but exceedingly probing, sincerely engaged with reaching out to touch the world. These are films of excitement, but also of questions, of family, of environment. They are films of gentleness and intelligence. In fact, Ballard is arguably, along with Malick, one of the handful of cinematic transcendentalists currently roaming our planet, and if there’s ever been a time that needed transcendence, it’s now.” Stephen Cone sings the praises of Carroll Ballard’s films, which despite their constant pairing of man and animal are among the most humane ever made. “In this way, Orlando is also defined as unique to everyone else, more so than in Woolf’s book, which has various supporting characters emerging in and out of Orlando’s life over the course of many centuries as well, all of them subject to the same vicissitudes of time, the author’s true subject. Thus onscreen Orlando’s queerness—and eventual transformation at film’s midpoint into a woman—becomes something like a source of pride, which helps situate the film well and cleanly into the ethos of the New Queer Cinema.” Michael Koresky’s survey of Queer Cinema comes to Potter’s Orlando, subtly different from the novel by virtue of speaking to its 1992 audience as thoroughly and unapologetically as Woolf had to hers. “Perhaps the real reason these films have been underappreciated is that the main token we have of Bergman’s success in Sweden is the fact that she was able to leave and work elsewhere. “I never had the intention of staying in Sweden,” she admitted. “It was too far away and too small a country. I wanted to go to big places.” The joy of watching her Swedish films is seeing that blazing talent and fierce ambition as they are just beginning to spark.” Pamela Hutchinson runs through the half dozen films of Ingrid Bergman’s early career in Sweden, settings ranging from ripe melodrama to screwball comedy, at all of which the hard-working rising star excelled. “I have spent 60 years shooting because I love movies so much. However, the job of the cameraman is to become one with the camera and dance with it to capture the subject. In other words, the job requires physical strength. Of course I think that my sensibilities have sharpened beyond my youth and I’ve acquired a “Miyagawa”-style perspective. But there’s nothing I can do about my body. In that sense, I would love for there to be more and more young people to surpass me. And yet the fact that I still want to continue making films is proof that I am a fool for movies, and nothing else.” The epilogue to Miyagawa Kazuo’s 1985 autobiography, translated to English for the first time, finds the legendary cinematographer looking forward to the electronic advances of the future even as he pleads his young readers to remember that it’s the human element that makes mechanically captured images into art. “I did, as a kid, go door to door. I did proselytize, and I realized I couldn’t be a minister because I just didn’t get along with people. Then I thought I’d be a lawyer, and I realized I couldn’t be a lawyer because I didn’t get along with people. The only thing left for me was to become an artist.” Paul Schrader answers Nicolas Cage’s (surprisingly?) perceptive questions about growing up Calvinist, finding the films that he loved, and balancing being a critic (who “wants to know why a thing lived or died”) and a filmmaker (who “wants to have that thing born”). “To wish for something you don’t have, or for something to happen in the future, or to have a thought about the past, are actually volumes or measures in time. It shouldn’t be seen like a chronology from past to future along a series of consequences. All tenses are possible at once. It’s a more organic experience and, with that format in mind, you can visually organize it. If we have all of the seconds of the past, present, and future coexisting in one, it’s very arbitrary to choose one thing to make evident. 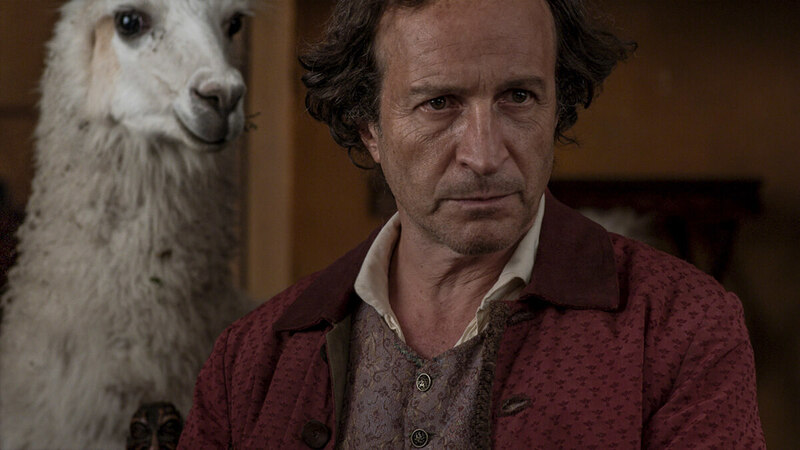 But these are just tricks to help me think; they’re not necessarily good or bad.” Lucrecia Martel talks with Steve Macfarlane about her latest, Zama, and the politics and philosophy that have undergirded all her work. Via David Hudson. “I don’t think independent filmmakers coexist amicably with the government. We have always tried to avoid the government and shield ourselves from its interference. But the hardliners have failed to silence independent filmmakers. When they’ve kicked us out the door, we’ve jumped back in through the window to do what we needed to do.” Jafar Panahi is interviewed by Jamsheed Akrami about his career; in particular, his unwanted but bravely met position as the most prominent symbol of Iranian censorship. “We’re used to modern poster art as a smoothly realist montage—direct and asinine; the disembodied heads of actors stacked in order of their cultural capital, something close to a bloodless totem. Eschewing this more clinical approach, Klimowski’s work is playful and allusive; a metaphorical structure dragged from the heart of film itself…. As Klimowski himself puts it, ‘I often come up with ideas which are visual metaphors or symbols,’ based on what ‘best corresponds to the atmosphere of the film.’ These archetypal symbols—eyes, hands, exposed torsos, angels and demons—pile thuggishly onto the page.” Owen Vince chats via email with Polish poster design legend Andrzej Klimowski, gaining some insight to his striking collage effects. Via Film Comment.